Help us pick our new Logo!! 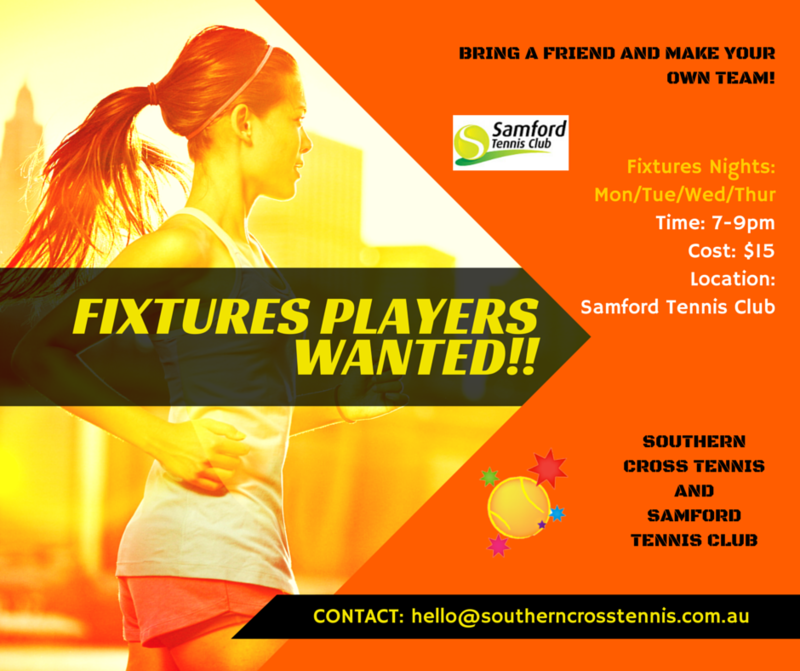 Southern Cross Tennis and Samford Tennis Club have our new Season of Adult Fixtures beginning in Semester 2 2015. Fixtures will start the week beginning 13-07-2015 and will run until 3-12-2015. It is run from 7-9pm Monday-Thursday for $15 per night. Here is a rough layout of the different competitions.